There is an asteroid named after Alexandria Ocasio-Cortez (happened when she was still in high school). Q: Why can&apos;t you use &apos;Beefstew&apos; as a password? A: Because it&apos;s not strogonoff. Suppose someone sends an email, and has several addresses in the BCC field. How serious is the breach if the email server includes those addresses in an X-* field in the email header? Increasing numbers of spam accounts signing up for mathstodon.xyz, which I&apos;m just about keeping on top of. If anyone has the time to implement an "admin must approve signup" feature as suggested in https://github.com/tootsuite/mastodon/issues/6856, I&apos;d be very grateful. Q: Why is television called a medium? A: Because it&apos;s neither rare nor well done. *Assistant:* Boat 81, come in, your time is up. *Me:* We only have 50 boats. ... (pause) ... *Assistant:* Boat 18, are you in trouble? @wendyg Hello Wendy! 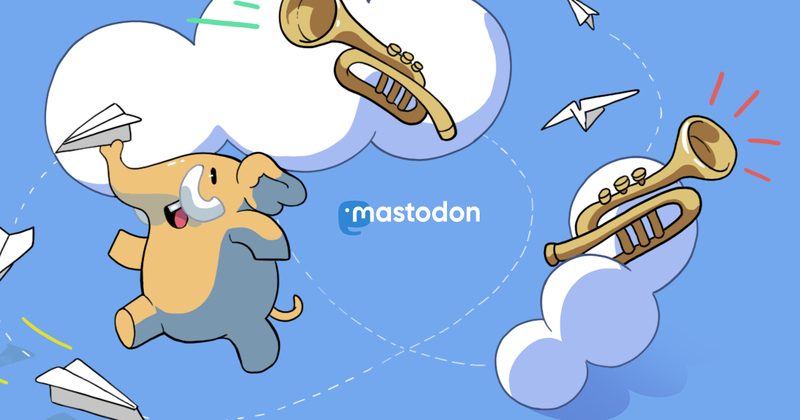 Welcome to Mastodon. As you can see, I&apos;m on a different instance, one that concentrates more on math, but I&apos;ve followed you, and look forward to seeing what you choose to share.